Welcome to Bhupenda Live – This website is dedicated to our future Generations who will never have a chance to meet Bhupenda in person. The live video performances and songs will keep Bhupenda alive to our future Generations. We are here to immortalize Bhupenda through his performances in the United States of America (USA) Assamese Get-togethers in various cities of USA. Also, we wanted to give you easier access to many songs of Bhupenda without having to search for it. Hope you enjoy watching the songs and videos in memory of Bhupenda. Finally through the Photographs you will see a different side of Bhupenda. A really fantastic job. I was simply overwhelmed by this website The selection of songs is very representative of Bhupenda’s genius. Some of the songs are really rare and hard to find, especially those created before 1950. I am also impressed by the collection of photographs. Almost every one of them captured Bhupenda in naturally relaxed and happy mood, which was not very easy to do during his life time. Some may say that there are not very many videos of interest. But who needs visual interpretation of Bhupenda’s songs?–they touch our inner souls. Satyen and Nomita Das have shown the way to immortalize the creations of Bhupenda with genuine love and affection. I really appreciate the initiative taken by Mr. Satyen and Namita Das. Indeed it was the need of the hour to take the stalwart to the global audience. Opening of this resourceful web site, on Dr.Bhupen Hazarika , is a kind of great tribute to him and this will help the present as well as the future generation to remember the great singer , composer, artist , the legend in heart …….. With all best wish to you all. Songs of Bhupen Da which have been banned by the Indian Government should be included in this website…There are many songs, which have been banned by the GOI. Wonderful content. As young Assamese a resourceful website such as this will go a long way to make us feel the greatness of Bhupen Da. Tremendous effort. It is really a very good step to immortalize Bhupen da and his works. Here is fantastic new website dedicated to Bhupen Da. Put together and presented beautifully Satyen and Nomita Das. We just have to take the ball and run with it as team and get it through the goal —- brave hearts of Assam. Its great initiative …………..on same boat of life,success,purpose…as a Good Human…whose IDEALS s a lesson to centuries!! Wow! A great job done indeed and that too few days ahead of the birthday of the immortal Bhupen Da. The initiative taken by Mr. Satyen and Namita Das is really appreciable. With heartiest gratitude and all the best wishes. Really good work on the website Satyen da . Dear Bhaiti Mama & Namita Mami,Thank you for sharing the website. Indeed a wonderful attempt on your part to keep this multifaceted, talented artist of Axom alive in the hearts of many!!! Congratulations! Bhupenda shall & will always live in our hearts because of such heartfelt endeavors, by his die hard fans! Thank you so much Nitul Mama, This is absolutely amazing….I love this website. The sound is so good. I can listen to it from anywhere, even Norway. I just saw this website and I cannot tell you how happy I am to see all his songs in one place. Thank you so much for doing this. I have grown up listening to Bhupen Hazarika’s songs at home and to finally have all his music so accessible is amazing. Very good effort, Dada and Baideu. Have not gone to the website yet. But I’ll definitely add that in ‘favourite’ and forward to friends. It’s a great job done, the people who are behind this… The immortal songs of Bhupen Da can be listened from anywhere and the generations to come. Great job capturing his great performances in USA and elswhere. Keep up the great job. Fabulous link…thought we had heard all of his songs, but there are so many more:) Love it!! Ruma from Austin, TX, sent me the link of Bhupen Da’s website that you have created. I applaud both of you for putting so much of effort and care to make it such a wonderful website. It will give me (and others) hours and hours of joy for a long time to come. You have given a tremendous gift to the next generation. Thank you so very much. Thank you very much for sending us your website. You have done a great and superb job. Best Wishes to you all. ooohh. at last a great job done. thank you. The website is a very good collection of Bhupenda’s songs, all in one place and it will be enjoyed by all. .I am sure a lot of effort and time went into making it. It is nice to see Bhupenda’s fans do what they can to keep his legacy alive. He will remain with us forever. This is the best website on Bhupenda and undoubtedly, a great contribution to Assam and the Assamese. Thank you very much. Please ensure timely updates. If you could add an archive on various articles written by Bhupenda and also on Bhupenda, it would have been wonderful; but I know, it is not very easy! With full of my respect and gratitude…. A fantastic and laudable enterprise. Its really a noble work done. If all the recorded live performances of Bhupen da could be brought in one single website, then it will be treasure which all of us could cherish for whole life. It will also be a nice gift to our future generation. One personal feeling: Though he tried his best, Bhupen Da could not be seen in his usual self in these live performances. May be because he didnt have the support of his companions. Bhupenda in his musical mood and with his regular companions is simply incomparable. For those who have seen his live performances in Assam will definitely feel this gap. So, it will be great if more and more live performances from Assam and elsewhere in India could be added to the existing list. I knew that Bhupen da took his full team to the places like Dubai and all. He performed with Jayanta Hazarika in Berlin, in Japan he performed with some other professional artists. If those performances could also be added…..
Really a great contribution to Assam and the Assamese as well as a tribute to OUR Bhupen Da. Thanks to Mama ( Dhan Bordoloi) also for the information about the web-site. Really really a great work done. Dear Namita & Satyen – Thank you for your wonderful gift to the generations following us to reminisce the great talent and melodies of that Giant legend of ours. Can’t wait for your next release on ‘Brojen mama-live.com’. Regards. Bhindew wonderful website of Bhupen Hazarika ….it will give inspiration to our next generation …… thanks a lot …. I went to the site and enjoyed everything. Very well done! Interesting. Bhupenda was so multilingual. Sang in so many languages, one of the things I admire about the man. Nepali may be there too. In Bengal too we grew up hearing his music. Was so popular at pujas and other functions. I saw the Nagamese song. Thanks for sharing! This site of yours will be so unique and accessible to all. Thanks to Satyen & Namita Das for this wonderful gift. The website was really very nice and enjoyable. Thanks a lot. Excellent works. I enjoyed everything. Thanks. Very good job Sir. My salute to you. 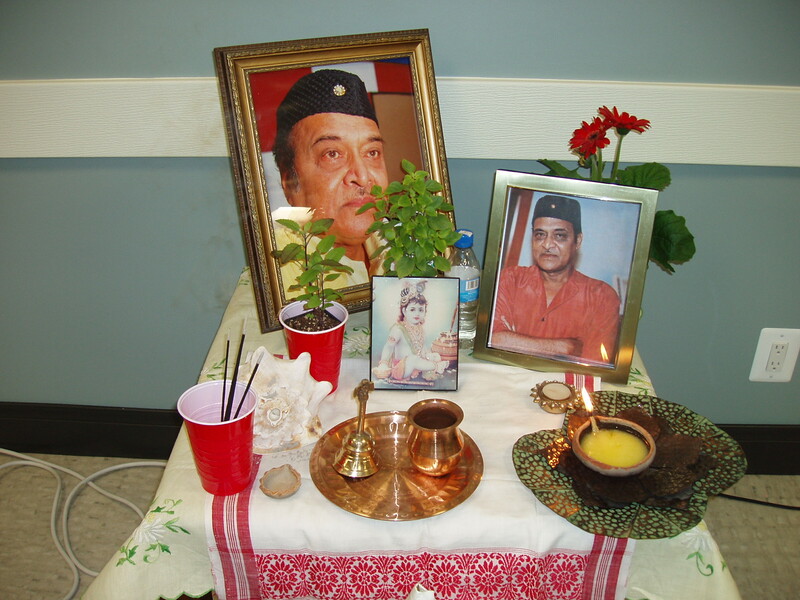 Dr. Bhupen Hazarika the legendary Icon of ASSAM / India & abroad was the cultural Ambassador of Assam. In his absence we should keep his immense invaluable resources for ever. In this response Mr. satyen & Namita das has doing an wonderful job. Many many thanks to them with regards. T.T.Phukan , Lanka Nagaon Assam. Thanks bhupenda-live.com for bridging across the oceans …your support and co-operation will go a long way in spreading Bhupenda’s humanistic ideals…. Really our Bhupenda was genious.Nice songs. Many Many Thanks for the great effort.Bhupenda always in hearts of us. Its a gr8 initiative….. Thanx to all for this wonderful gift !!! Satyen and Namita Das have done a priceless job – a proud for the people of Assam and northeast – An online archive.